the code word JOY for Challenge # 78 at Addicted To CAS. You can check out the design team cards and join in the challenge HERE. every place I tried to order it said it was out of stock...so frustrating. a early Christmas gift. YEA! so I cut the word out of a foam sheet and one out of white sparkle paper. That's a lot easier than cutting four or five layers. 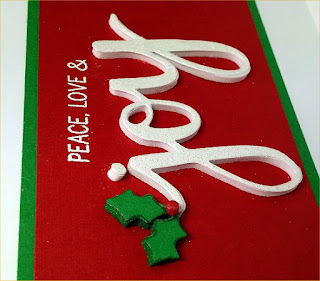 using an Impression Obsession die (DIE023-X). Then I colored the edges of the white foam with a green marker. 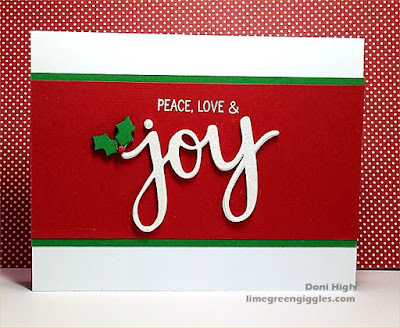 I love this color combo with your CAS design, and the clever way you added dimension to your die cuts! 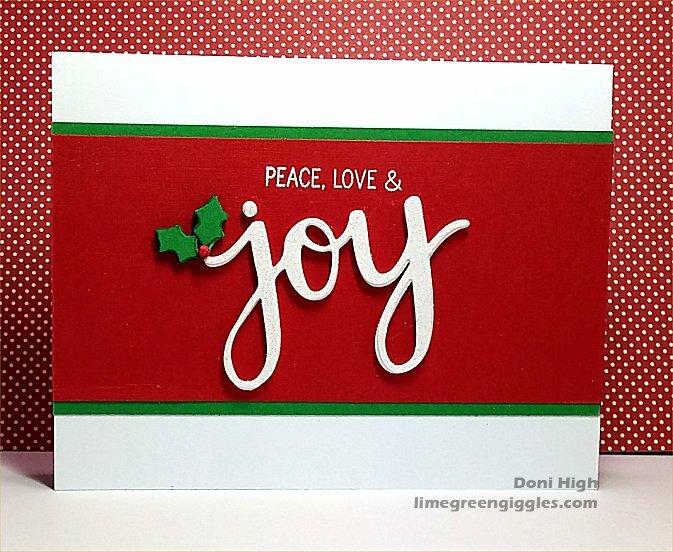 Gorgeous card, Doni!